Mitch is eager to get to the microphone, practically elbowing Trump out of the way. So Trump surrenders the microphone, and Mitch gets up there and says (summarized), “We are! We’re gonna try to get tax reform done this calendar year. But I want to remind all of you: Obamacare? He didn’t get that done until June of year two. And Dodd-Frank? Obama didn’t get that done until sometime in year two. And we haven’t even finished year one with Trump. We’re gonna get this done before the end of the year.” I think… The fear of God, I think, now is in some of these Republican-establishment types. For how long, I don’t know. But a statement Lindsey Grahamnesty made yesterday on I guess Face the Nation? We’ll have that coming up show you. RUSH: The Trump-Mitch McConnell lovefest is continuing. Now, our microphones are there. You want to listen to a little bit of this? Let’s JIP this. Our microphones are everywhere. Don’t know how long it’s gonna go on, but just to give you the flavor of it. MCCONNELL: This effort was undertaken successfully and we’re gonna succeed this time. The bill, the details of them will be written by the Ways and Means and finance committees after we approve the budget. And obviously the budget opens the path to tax reform. But it’s about both, about both reform and reduction. REPORTER: Why haven’t we heard anything from you so far about the soldiers that were killed in Niger and what do you have to say about that. THE PRESIDENT: I’ve written them personal letters. They’ve been sent or they’re going out tonight, but they were during the weekend. I will at some point during the period of time call the parents and the families, ’cause I have done that traditionally. I felt very, very badly about that. I always feel badly. It’s the toughest — the toughest calls I have to make are the calls where this happens, soldiers are killed. It’s a very difficult thing. 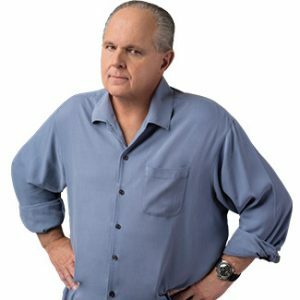 RUSH: We got into this late, folks. The bulk of this has been about tax reform and the Republican agenda, the Trump agenda going forward. And, trust me, how eager, ready to go Mitch McConnell seems to be. Now, I didn’t fall off a turnip truck. I don’t want anybody misunderstanding me when I said it looks like the fear of God is in these people. But I honestly think something has happened here. I think there is full-fledged panic that ratchets up and increases each and every day throughout the entire Republican establishment and the Washington establishment. What Trump has shown, he is not being stopped or beaten down by these people, as evidenced by removing the subsidies for the insurance companies in Obamacare and once again subjecting Obamacare to the rule of law. He has no qualms, Trump has no qualms about bypassing Congress. And these senators especially don’t want to appear to be unnecessary, and they certainly don’t want to appear to be ineffective in stopping Trump. There are many incumbents up for reelection both in 2018 and 2020. And none of them are gonna be assisted or helped if they appear to be unnecessary or ineffective. And I don’t think most of the people in these Republican senator states want Trump stopped. And that’s one of the things that’s been hurting these people. It appears here — and I must say that we have to always hold out the possibility that what’s said on a microphone doesn’t have a long life span. Let’s put it that way. It could be just pandering and so forth. But there has been a meeting up there today, and something’s gotta give. And it isn’t going to be Trump. Trump is making it perfectly clear that he’s gonna get done as much as he can without them as with them. And if that ends up making them look unnecessary, I mean, if the Trump agenda is seen by a majority of Americans as a positive agenda, something they support, and the Republicans in Congress seem unnecessary for it, that’s not good for them. Mitch McConnell said, before we JIPed it, “We’re friends. We’ve been friends for a long time. Despite what’s being reported, Trump and I have been friends for a long time, and we’re working together to make America great.” And he went on and on about how they’re gonna work as hard as they can to get tax reform done this calendar year. Now, folks, whether it’s genuine and sincere or not, I don’t know yet, but I can tell you that elected Republicans all of a sudden are kissing up to Trump voters, all of a sudden. Trump even said in this little confab here that he might be able to talk Bannon out of what he’s doing. Bannon is out seeking Republicans to run as primary opponents to sitting senators and members of Congress if they are not helping Trump advance his agenda. And now there’s confluence of events happening here that make it appear that the Republicans in Congress have seen the light. Now, again we say this with guarded expectations. We’ll wait and see if it actually is real rather than just words being spoken into a microphone. But I have to tell you, I’m looking at Trump. He doesn’t look like he is alone. It doesn’t look like he is abandoned. It doesn’t look like he is unhinged. He doesn’t look like he is anything but sane, calm, positive, healthy, and funny. He’s actually pulling McConnell along with him. And then he pledged to do a massive amount of work on reducing prescription drug prices. He talked about how cheaply they can be purchased overseas, such as in Canada and how this isn’t gonna stand. But pointing out that these health care companies losing subsidies gave massive amounts of money to politicians. I have no doubt that that’s true. That’s why they gave the money. They gave a lot of it to members of the House and Senate. They gave a lot of money to Obama. And now all that money has proved worthless because the subsidies are gone. And you tack welfare reform onto this agenda, and I’ll tell you, folks, it’s a breakneck pace here with which the Obamacare — well, every aspect of the Obama agenda is being obliterated. It’s exactly what we have wanted. It is exactly what we have wanted. And last week alone, four elements of the Obama agenda were blown to smithereens. The Iran deal, climate change, pulling out of that officially, reducing the subsidies, getting rid of them in Obamacare. And there was one other. And now moving on to welfare reform. And all the Democrats can do is whine and talk. We’ve got columns in the Washington Post today, Mike Gerson, former Bush aide, “Time to panic.” His message to Republicans in Washington, “It’s time to panic.” That Trump is truly unfit and we need to explore the 25th Amendment in getting rid of him. Now, I mentioned Lindsey Graham. Grab audio sound bite number 15. On Face the Nation yesterday, John Dickerson talking to him. Dickerson said, “What about what Steve Bannon said this weekend? The season of war comment.” We played the Bannon sound bites where he basically said the war is on against the Republican establishment, Republican senators and members of the House who are actively seeking to thwart the Trump agenda and not advance it, we are at war with them and we are going to replace them. And so CBS asked Lindsey Graham his thoughts on this. GRAHAM: If we don’t cut taxes and we don’t eventually repeal and replace Obamacare, then we’re gonna lose across the board in the House in 2018 and all my colleagues running in primaries in 2018 are probably gonna get beat. It will be the end of Mitch McConnell as we know it. If we’re successful, Mitch McConnell’s fine. If we’re not, we’re all in trouble. We lose our majority, and I think President Trump will not get reelected. RUSH: Now, that’s just common sense. But that’s not what these people were saying last week. Now, what happened? Trump went out and played golf with Lindsey Graham, and it’s not that they played golf, but maybe Lindsey Graham actually heard Trump for the first time. It’s a one on one situation — well, whoever’s with them on the golf course. I’m convinced that people that live in Washington, in the establishment, think in ways you and I wouldn’t recognize. They are not connected to the rest of the country. The disconnect between the ruling class and the establishment and the people who make the country work is bigger than ever. It’s a gigantic divide. And there’s so much resentment there that I don’t think there’s much time spent actually thinking or trying to understand what the American people think. But Lindsey Graham all of a sudden sounds like he gets it. He’s basically saying, “Look, what Bannon is doing will be irrelevant if we just — do the agenda.” What have I been saying? If they would just for three months, just three months. And, by the way, October, November, December, Mitch says we’re gonna get tax reform done this calendar year. Says he’s gonna try. He gave himself an out, though. He reminded everybody that Obama didn’t get his big deals until his second year. So he gave himself an excuse. But he made it sound like they’re eager to get this tax reform thing done and then the budget. And if that happens, then nobody’s gonna be primarying these guys, nobody’s gonna be looking to oust them. Well, it’s gonna get harder to do that. Might not stop people from trying. But the point is, this, to me, seems like a pretty fast overnight shift in positions. And I happen to say it because it’s true. If these guys, in the House and Senate on the Republican side, even if they just make it look like they are trying to advance the Trump agenda, instead of opposing it, instead of trying to stop it, if they make it look like finally they’re actually working together as a party to move forward the agenda of the man elected president, and if they succeed, they could own Washington for a generation. Maybe that got through to some of them. Because up ’til now they’ve been listening to not you, they’ve not been listening to voters. They’ve been listening to donors and lobbyists and whoever else they consider more dangerous or a greater threat to them. But something has happened. The message has gotten through. “Rush, these people aren’t stupid. They know that the voters are not happy with ’em.” Folks, you don’t — well, I think you do understand the arrogance. This situation’s not altogether different from the NFL. They don’t know who their audience is, and I don’t think the Washington establishment knows who its audience really is, either. Because an outsider has been elected president, that audience now matters to the establishment whether they want it to or not. And they have to respond to it. So we’ll see. This is just one day. Remember, now, I have my expectations guarded on this. But we have not seen this kind of cooperation publicly, energetically, since election night and the immediate aftermath. And then it died down and we never saw it again. We didn’t see it around inauguration time. We didn’t see it in the aftermath of the inauguration. We saw it for a couple of weeks after the election, and that was it. Now it’s back, the appearance of unity and moving rapidly to advance the agenda. But people are gonna need more than words. They’re gonna need to see some action. They don’t doubt Trump. They don’t have any concerns that Trump means it. They don’t have any concerns that Trump is serious about it. And they certainly don’t doubt Trump is gonna work for it. But the other guys, they have some evidence to produce. And that evidence will be in their actions. Time will tell.